A private hospital was put on lockdown by police after a bloodied man was allegedly attacked with a knife in the car park then banged on the doors screaming for help. 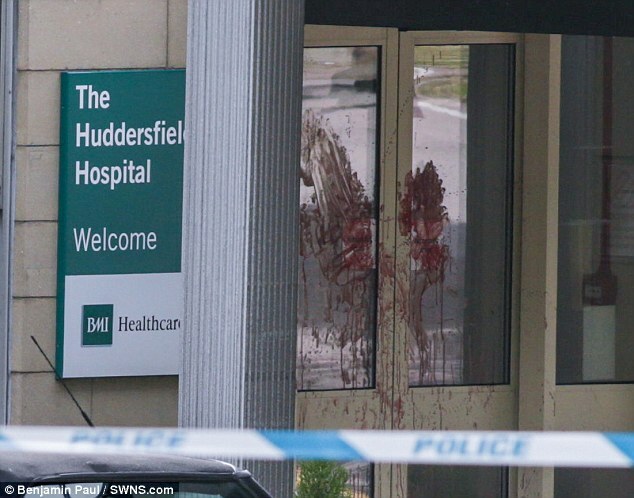 Blood was today seen spattered on the ground outside The Huddersfield Hospital, part of BMI Healthcare, and was also left smeared across the entrance doors. Police are investigating after a man suffered serious injuries following an assault in the car park of the hospital, which is set to remain shut until 7am tomorrow. 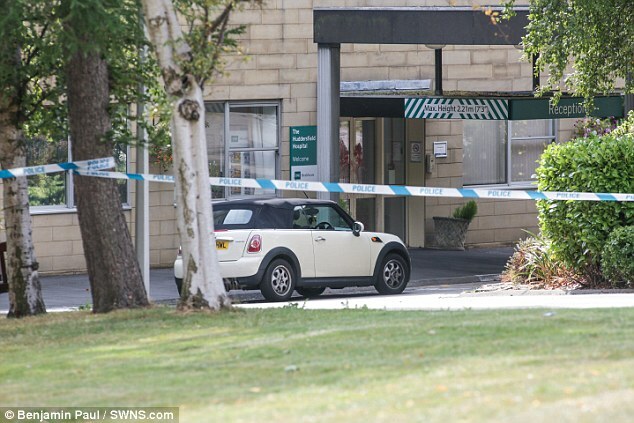 West Yorkshire Police received a number of reports at about midnight of an altercation in the grounds of the hospital and closed access to the site. While officers were en route to the scene, police were made aware that a man with various injuries had arrived at NHS hospital Huddersfield Royal Infirmary. The man, who is believed to have been stabbed with a knife, is being treated in hospital for non-life threatening hand injuries. Police said the attack was 'targeted'. Speaking at the scene today, a man, known only as Mark, said: 'My wife was in hospital at the time. She heard a guy screaming please help. 'He was getting either stabbed or slashed. She heard some kind of noises which sounded like gunshots. Then she heard police come and shout 'armed police'. It is understood the hospital doors are locked after visiting hours and in-patients often stay overnight. 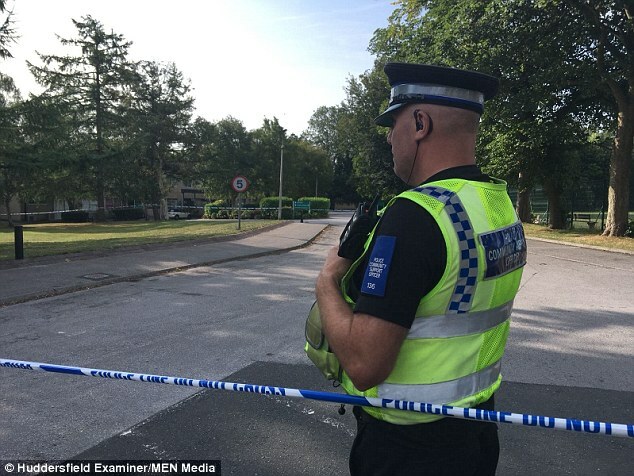 Today, two PCSOs stood guard at the entrance while a police van and more officers stood inside the grounds of the hospital, surrounded by trees and next to a cricket pitch. Patients said they had been called by staff today, telling them not to come in for appointments - and people were urged to call in with any urgent clinic queries. One patient told the Huddersfield Daily Examiner: 'They rang at about 8am saying police had closed the hospital due to something going on. One witness told the newspaper that the area around the hospital was 'crawling with police' when she went past at 7.30am today. One local resident claimed she heard people screaming 'they've got a gun' shortly before the incident. She said: '(It) started at around 11.55pm last night. Meanwhile another local resident, who lives half a mile away from the hospital, had claimed to have heard 'shotgun noises' last night at about 7.15pm. 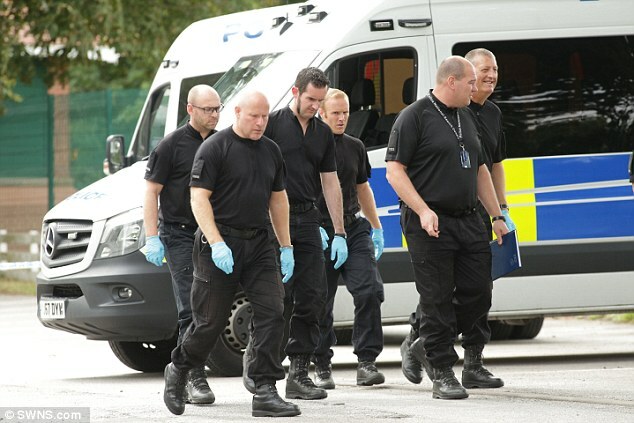 However, West Yorkshire Police said there was no indication of any firearms being involved, and officers were called shortly after the incident at around midnight. 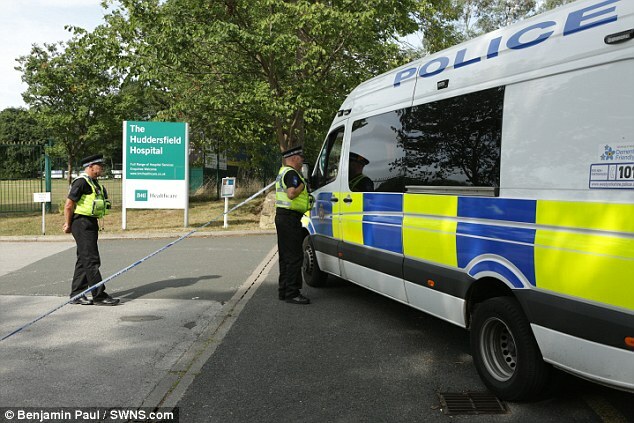 A police spokesman said: 'Detectives in Huddersfield are investigating after a man was assaulted in the car park of a private hospital in the town. 'Police received a number of reports from 12.02am this morning in relation to an altercation in the grounds of the BMI Huddersfield Hospital. 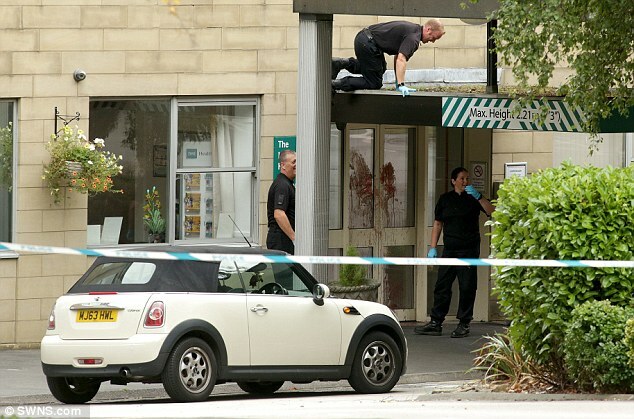 'While officers were en-route to the scene, police were made aware that a man with a number of injuries had arrived at Huddersfield Royal Infirmary. 'The man remains in hospital where he is being treated for non-life threatening injuries to his hand. A police scene is in place in a car park of the BMI hospital. 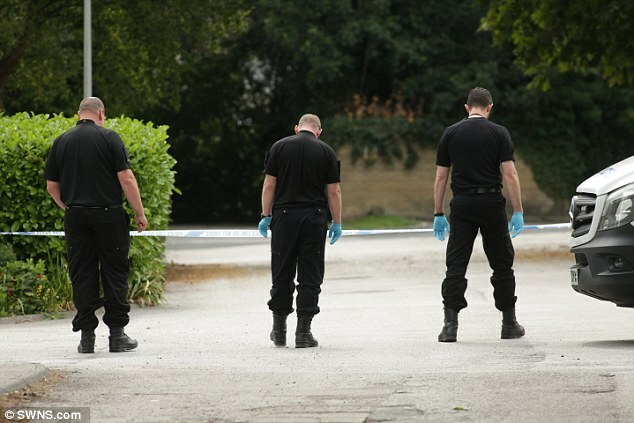 Detective Inspector Mark Atkinson, of Kirklees District CID, said: 'Our enquiries are in their early stages but it appears that this was a targeted attack. 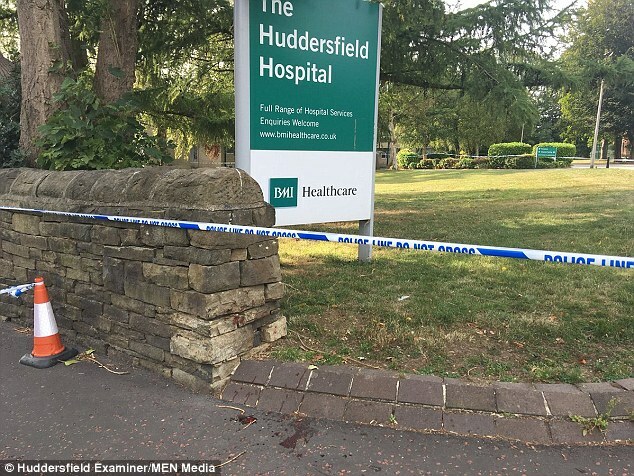 A hospital spokesman said: 'Due to a major incident, the Huddersfield BMI Hospital will be closed until 7am on Thursday August 23. 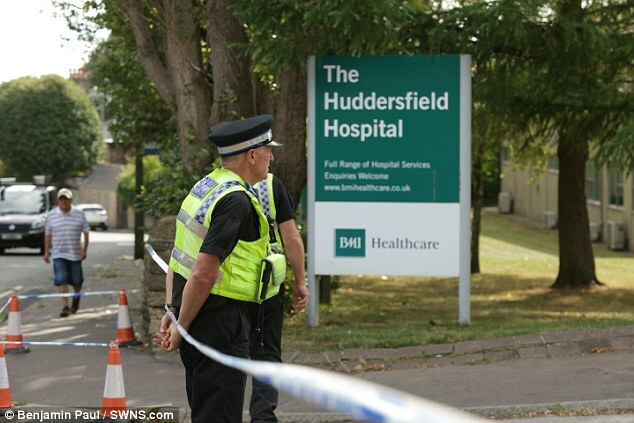 Callers to the hospital's reception were being directed to a recorded message which says: 'Due to a major incident, the BMI Huddersfield Hospital will be closed until seven o'clock, Thursday the 23rd of August. Police said anyone with information about the incident should call Kirklees District CID via 101, quoting crime reference 13180417259, or use the 101 Live Chat facility on the West Yorkshire Police website.